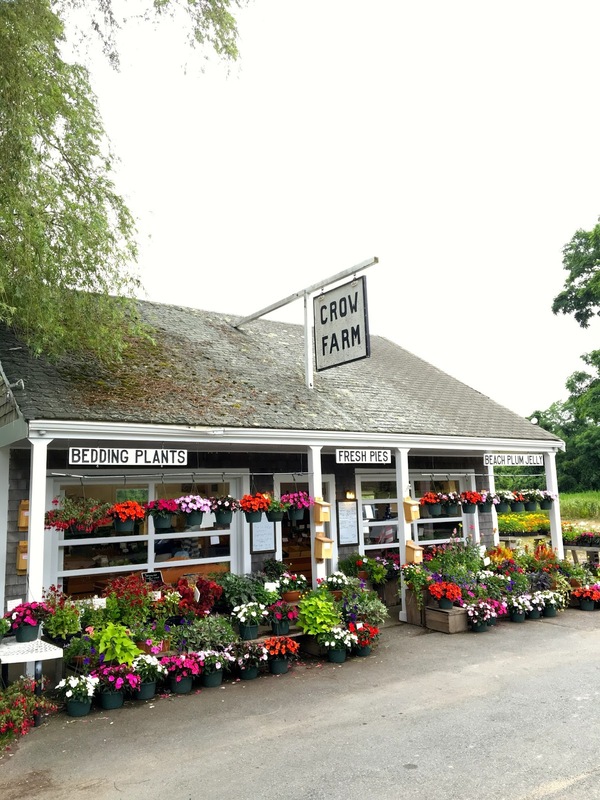 This past weekend, with Marylou’s iced coffees in hand, we traveled over the Bourne Bridge for a little Cape escape in Barnstable County. While mother nature did not cooperate for a beach day, there was much to do and see. 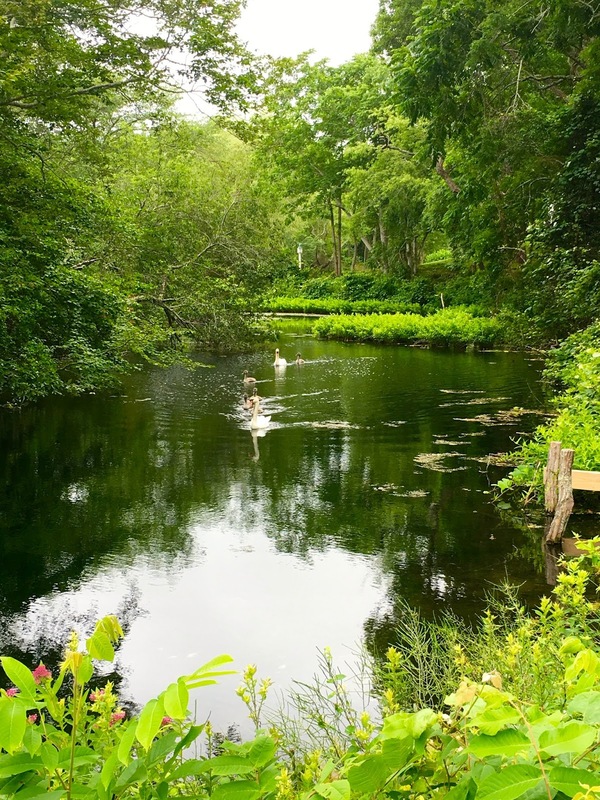 Our home base was a beautiful pond-side colonial in East Sandwich. We headed to Boardwalk Beach for an afternoon stroll across the picturesque estuaries and along the windy shore. Once our toes touched the angry ocean, we decided it was time for lunch. We drove about a half hour east to Dennis, and found the cutest seafood shack on Sesuit bay. Sesuit Harbor Cafe is a must for all that is seafood. 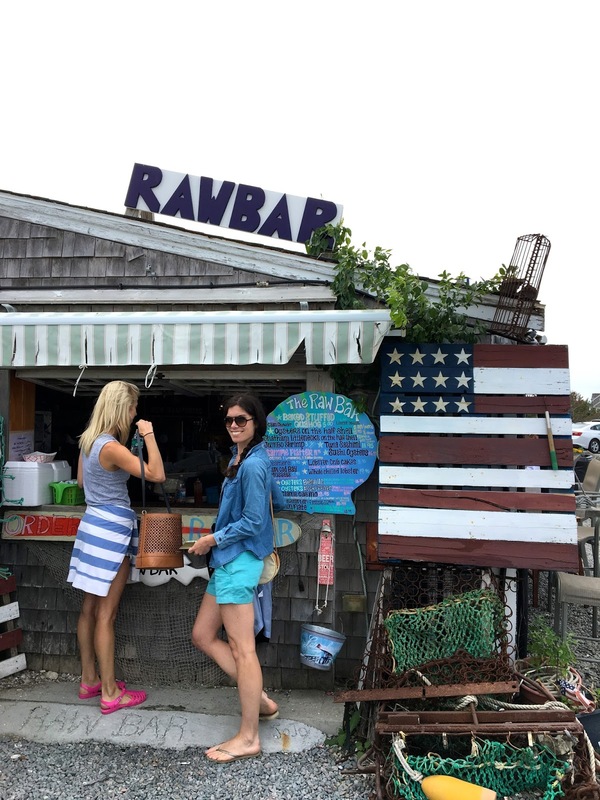 Whether you enjoy crisp and light fried fish, overflowing lobster rolls, or freshly shucked oysters, this place has it all. For those who are not seafood fans, they have some tasty chicken fingers with honey mustard sauce, too. 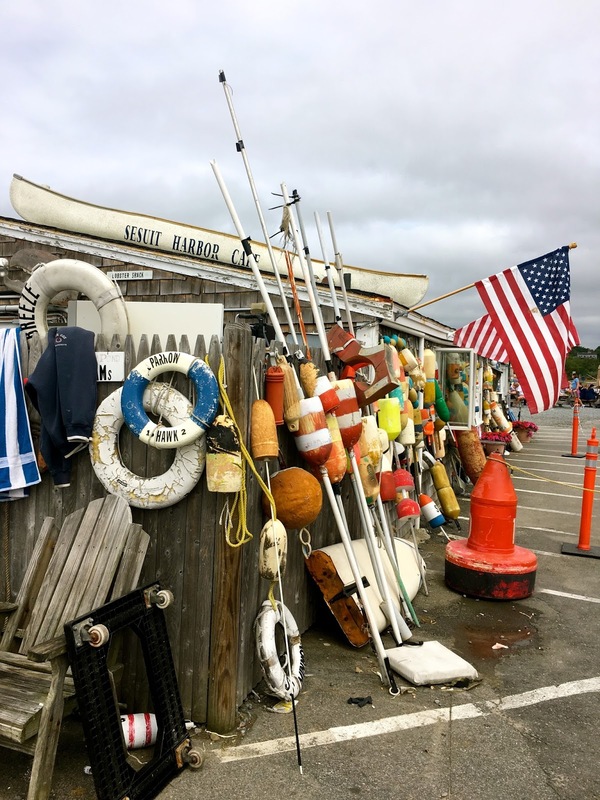 After a relaxing lunch dockside, we passed through Barnstable County, in awe of the shingled homes and immaculate lawns overflowing with blooming hydrangeas. As we window-shopped in Barnstable, we brainstormed what to make for dinner. 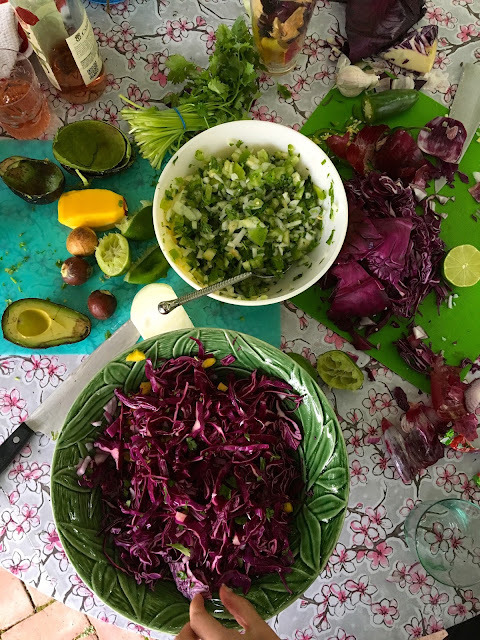 Our friend Taryn brought her taco press, so fish tacos were a no-brainer. We drove to Cape Fish and Lobster and chose a gigantic swordfish steak to grill. 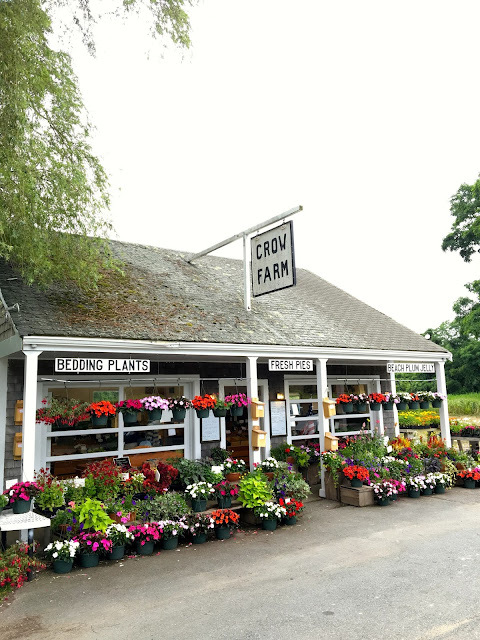 On our way home, we stopped at Crow Farm for their homemade beach plum jelly and the makings for a berry and peach pie. There’s just something so calming and majestic about the Cape. Such a wonderful retreat!